HF / Features - Psychedelic Pan talks gatecrashing parties, weird decor & Goa Creamsicles! Tell us about your childhood. How do you think this and your other experiences in life have shaped you into who you are today? Well, as a kid I was surrounded by musicians. I in fact played in rock bands for years. Everything from 80’s style trash pop to glam to gutsy blues-oriented sounds. Throughout that time, I travelled the world pretty extensively. Travel (of the non-package type) really brings an education and awareness that you can’t find anywhere else. What was your first experience of music? In general? Listening to music on AM radio, then my brother introduced me to his album collection which was brilliant. He was much older than me, so it was Zeppelin. Jethro Tull and lots of 70’s rock. 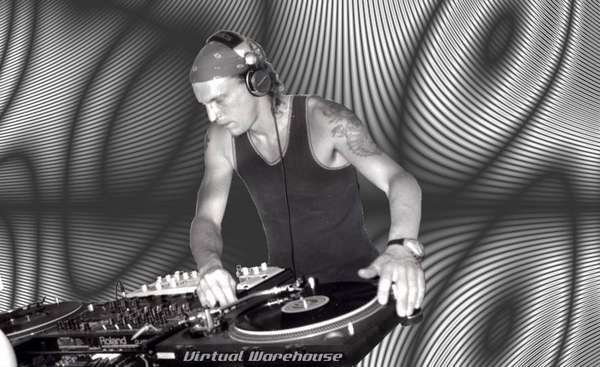 Your first taste of Psy-Trance was in 1997 in Ibiza. Talk us through what made you fall in love with this sound? 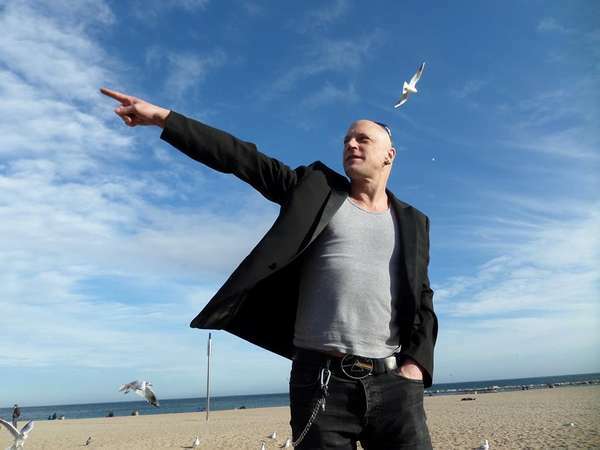 I had been very much in to the early, more commercial trance sounds at that point in my life. Albums like Renaissance and Sasha and Digweed. But a friend on the island told me about something different. So we drove this scooter down a sandy track, eventually getting stuck. My friend said we had to walk down. I insisted no, we could follow the music. She went her way and I walked into the woods, managing to slide down a dusty ravine. When I climbed back up the other side and pushed my way through some pretty thick bush, I was right behind the DJ. Instead of being upset, he welcomed me and said that the front gate would have been easier. The place was awash with bright fluro colours and the music was like nothing I’d ever heard. There was no way that I could not dance. When the sun came up I saw that the event was perched on a cliff overlooking the sea. It was pure magic. 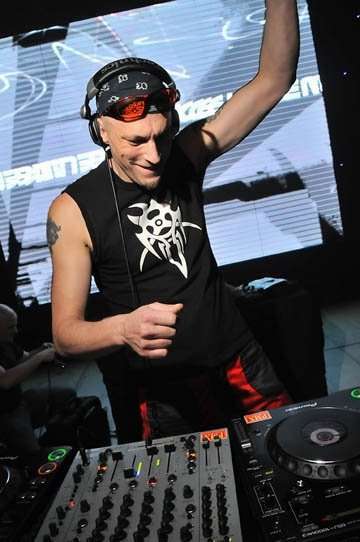 It was several years before I went to another psytrance party, but that one event changed everything. When did you play your first DJ set and how did this come about? In 1999 I started putting on parties in Australia. The goal was to mix club trance with psy. I had a friend that knew psytrance DJs from Byron Bay, so, with local talent and her friends it was all possible. Around that time I also met a lot of Sydney psytrance DJs. The whole ‘Gatecrasher’ sound was huge at the time and I was buying vinyl long before I could mix properly. Sometimes DJs would show up late so I had to get behind the decks. I remember hoping to god they would show up before I had to do another mix. But over time, learning to do it right in my DJ friends’ flats after big Saturday events, I mastered the art of mixing. I’m not sure if my first full gig was a psytrance party or one of those DJ contests, but it went down pretty well. To be honest, that time is a little hazy. What made you want to produce the music and how are you finding studio work? You first solo release Pan - ‘Goa Creamsicle’ is just out on Reincarnations Recordings. Where did the inspiration for this come about? My wife and I were booked to play at this amazing festival called Goa cream. It’s put on by an amazing crew for charity. One of the nicest festivals that I’ve ever been too. Anyway, I wanted to make something special to play there. I have always been heavily influenced by Goa sounds so I spent a lot of time trying to make a sunrise feeling. As it turned out, the track wasn’t quite done in time, so it never got played there. I was totally chuffed when Reincarnations Recordings said they wanted to release it. You also perform as a double act called ‘Alternate Reality’ with your lovely wife Kristina, who does live visuals whilst you mix. When did you both decide to work together? It was just one of those things that happened. We were living in Manila in the Philippines and we brought the old Sydney event “Chemistry” back to life. More than once the VJ did not show up so Kristina was like ‘how hard can this be? I used to work for MTV’. One thing lead to another, she got more equipment and Alternate Reality became a thing. Think it would have been around 2010 when we gave it a name. In addition to this you’ve created spectacular decor installations for various events. What would you say have been your most epic? Wow, hard to say. Doing decor was an epic job, but very difficult. Setting up took hours, even days, while taking it down took 45 minutes. People in Sydney still talk about my weird decor, which I find amusing and also quite a compliment. 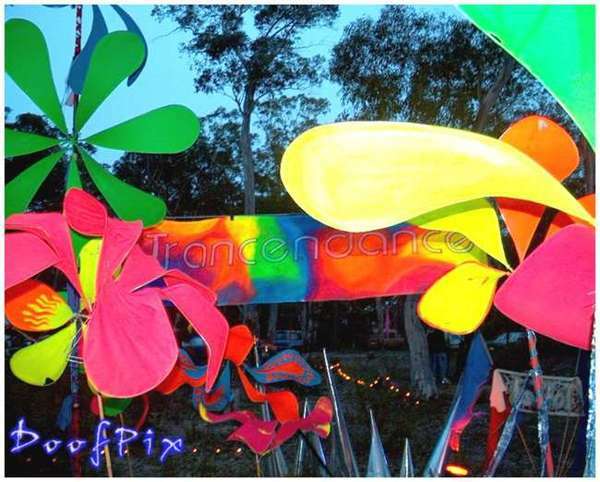 I think the most epic was a psytrance party called ‘garden of light’ with its massive fake flowers. Any plans to start your radio show back up? As a matter of fact, I was just discussing this with Kristina. I will likely start a psytrance podcast. The nature of radio has changed. It’s all online now. Do you think the psy-trance scene has change over the years; if so; how? What do you feel has stayed the same? Everything changes, all the time. I hear people complain sometimes about how #it’s not like it used to be.’ That is true, of course. Some changes are not great, others are. Evolution. It happens. I promise to never get stuck in the ‘good old days’ because those days are right now, every day. And the feeling of oneness at a good psytrance event has not changed. As to the ‘how’, I think a lot of music has become formulaic, but there are still a lot of great producers out there. What makes you tick? What inspires you and when are you at your best? My inspiration? huh…. I guess my lovely wife Kristina, from whom it is really important to me that my music makes her dance. The city I live in now, Barcelona, has a magical feel (probably all the Gaudi art) which helps inspire a lot. Add to that all the sunshine and it’s off to the studio. I’m at my best when there is no stress, but isn’t everyone? What are your pet hates in life? Wow…. tough question. I hate anchovies and injustice. The first I simply pretend don’t exist. The second, I try and get involved for change. I’m not an activist, but it’s pretty clear when something is unfair. I could have been a member of the justice league, but a Pan Man costume would look silly. I want to grow as much as I can with production, getting the music that is in my brain out for release. There is a lot to learn. 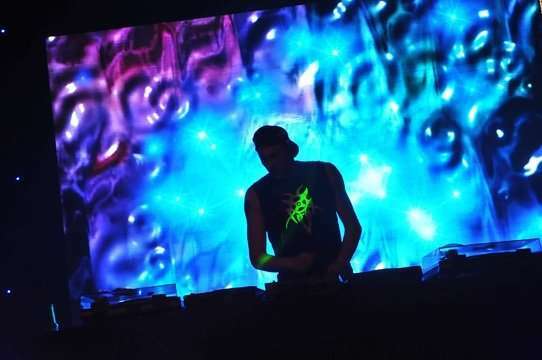 I really want to perform at some of the bigger festivals like Ozora and Ometeotl. Of course, I also need to travel more too. If someone wrote a book about your life - what should the title be? All images courtesy of Pan. Not to be reproduced without permission.